UpSellit, the leader in online customer recovery solutions, announces their strategic partnership with Magento, the world's leading open-source eCommerce platform. This partnership extends UpSellit's DataHound Email ReMarketing solution to Magento merchants, allowing for a seamless shopping cart integration of UpSellit's innovative 'pre-submit' customer recovery technology. UpSellit, the leader in online customer recovery solutions, announces their strategic partnership with Magento, the world's leading open-source eCommerce platform. This partnership extends UpSellit's DataHound Email ReMarketing solution to Magento merchants, allowing for seamless shopping cart integration of UpSellit's innovative 'pre-submit' customer recovery technology. "We are very pleased to be a part of Magento's rapidly growing community of online merchants," said Tom Kogler, UpSellit Co-Founder and CEO. "Having recently surpassed 4 million downloads, we think Magento's diverse list of clients will benefit greatly from our unique answer to site abandonment. With the addition of UpSellit to the Magento Extension Marketplace, merchants can now quickly and easily implement our hosted and managed email remarketing solution." DataHound Email ReMarketing offers merchants the unique ability to capture pre-submit contact information in real time. By capturing abandoned leads and complete session data, UpSellit's email remarketing platform enables merchants to automatically send a targeted customer recovery email if a consumer does not complete the conversion. 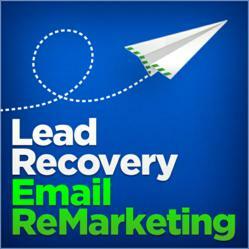 Historically, marketers using DataHound Email ReMarketing realize a 5-15% overall lift in online conversions and collect up to 40% more leads. Magento provides merchants of all sizes with a platform to create highly-effective and visually stunning eCommerce websites that deliver exceptional results. UpSellit's remarketing emails complement Magento's platform by extending the design and messaging of a merchant's site into a CAN-SPAM compliant, HTML-formatted email that provides merchants with a second chance to recover an otherwise lost sale. "We've been very pleased with the results of UpSellit's email remarketing tool. We're now able to grab leads that would have otherwise been lost, and we've seen an overall increase in revenue of about 5.5%," commented Matthew Tratner, Chief Operating Officer of GemsAround.com. "The integration of UpSellit's solution with the Magento platform was quick and painless and the UpSellit team is very responsive and easy to work with, making this the perfect solution for anyone who wants to do something about their site abandonment." UpSellit enables businesses to engage abandoned online consumers using custom chat, email and survey technologies that increase conversions and capture valuable business insight. With over 10 million conversions saved, UpSellit partners with online merchants of all shapes and sizes to develop completely custom solutions that offer marketers complete control over every aspect of the customer recovery campaign.